Details Bianco di San Giovanni is lime white pigment first described in literature by Cennino Cennini. D. V. Thompson says the name comes from the patron saint of Florence. Cennino Cennini uses the name "Bianco di San Giovanni" to describe the preparation of a white lime pigment in his book Il Libro dell’Arte. He does not explain the name used for this lime white, and it is probable therefore, this important white pigment was in use by artists before Cennini's time. D. V. Thompson says it gets its name after the patron saint of Florence. Bianco di San Giovanni primarily consists of calcium hydroxide, also known as slaked lime, in a chemical compound with calcium carbonate. 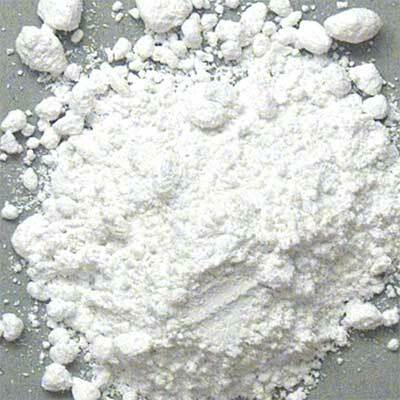 A traditional name for calcium hydroxide alone is slaked lime, or hydrated lime. The name of the natural mineral is portlandite. A suspension of fine calcium hydroxide particles in water is called "milk of lime." When dissolved in water, the solution is called "lime water." Bianco di San Giovanni is composed of slaked lime, and because it is dried in the sun, it absorbs carbon dioxide from the atmosphere and partially converts to calcium carbonate, or lime. 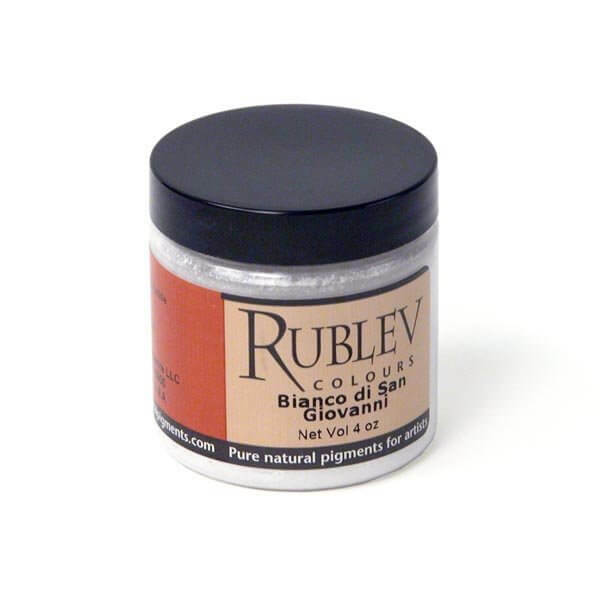 Bianco di San Giovanni is considered the white pigment par excellence for fresco painting. It is used also in tempera and grounds while it is not advised in oil and encaustic painting techniques. Lime white should be finely ground before using in fresco, casein or egg tempera painting techniques. Bianco di San Giovanni is not toxic, however, it is alkaline and may irritate the skin and eyes. Care should be used in handling the dry powder pigment to avoid inhaling the dust.